Our softgel capsules, transdermal cream, and tinctures use the best anti-inflammatory strains that take the edge off the pain and give you an advantage over the competition by taking full advantage of CBD benefits. As you can expect from a Floyd’s of Leadville product, we use only altitude grown hemp from Colorado and use CO2 extraction, so there’s no preservatives or additives – just natural organic CBD hemp oil. Of course all our hemp is non-GMO, so you get all of the goodness with none of the pesticides. Anecdotal feedback demonstrates that CBD may be effective in managing inflammation post-exercise making the experience of a hard workout feel better. CBD benefits Floyd’s of Leadville softgels. Floyd’s of Leadville CBD Hemp Oil softgel capsules use the best anti-inflammatory strains that take the edge off the pain and gives you an advantage over the competition. As you can expect from a Floyd’s of Leadville product, there’s no preservatives or additives – just natural CBD hemp oil. CBD is a non-psychoactive, organic compound found in cannabis plants with amazing benefits that can be enjoyed without the side effects and highs that come from the psychoactive substances. 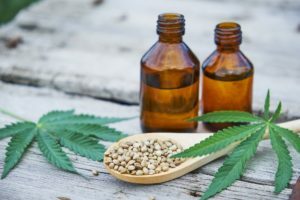 Studies are showing CBD to be a very strong anti-oxidant with impressive anti-inflammatory and anti-anxiety properties. A wide range of benefits have been uncovered, and some of the numerous potential benefits have been suggested by various studies. 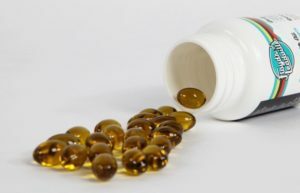 Read Article: "Why Athletes Are Ditching Ibuprofen for CBD"
Read Article: "Review: Floyd’s of Leadville CBD Hemp Oil"
Read Article: "I have chronic back pain. So I tried Floyd’s of Leadville CBD"
NBC News’ Harry Smith reports on the future of marijuana which is already being used for medical purposes in many states across the U.S. Smith takes a look at state-of-the-art science and speaks with patients, their families, leading scientists, doctors, federal legislators and a former NFL pro. Airs Sunday, May 20 at 7/6c on NBC.